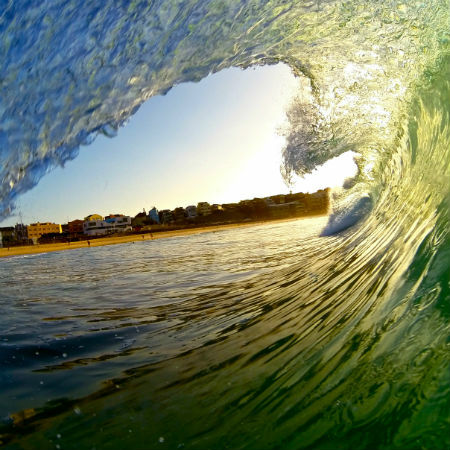 June 8 is World Oceans Day and at Lets Go Surfing we are pretty excited about days like this. Although we believe every day for us is “Ocean Day”, we are stoked an organisation like World Oceans Day highlights to the world, the importance of the Ocean we all are so lucky to surf and play in! Today we want to shine a light on encouraging solutions to plastic pollution and preventing marine litter for a healthier ocean and a better future. We have always been environmentally aware and caring however, recently we launched a new strategy to become the best Eco Friendly surf school we can be and to try to lead our amazing Surf School industry . Our 2017 initiative is “Leave only footprints”and some of our initiatives will include providing our team of over 80 professional Surf Instructors with reusable coffee cups & water bottles, our staff won’t be using single use coffee cups anymore, or using plastic water bottles, we will work with our partners & suppliers to minimise and hopefully eliminate the acceptance of loads of plastic packaging. And while we’re on the beach our coaches will start carrying enviro bags during lessons to collect and put rubbish in from the beach and do our part of #take3forthesea and educate our students about the importance of a healthy ocean. Think about your daily life and the things you use. Get your own take away coffee cup and bring it down your favorite cafe, recycle, make compost at home, pick rubbish up and inspire people to do the same. Think that small things can have a big impact!